For those who are fans of the Lomo brand, or just analogue and instant photography in general, the Lomo'Instant Automat is a great little camera which you can have a lot of fun with. While it’s true that there are smaller Instax cameras on the market, this one isn’t too large and has an appealing retro look about it that may well like. It’s easy to use and get to grips with, so even if you’ve never used an Instant camera before, it shouldn’t take too long before you’re able to start producing shots from the Automat. You can make it as simple as you like, adding in some control if and when you feel ready. Most of the time, the shots produced are nice enough - there is a certain degree of unpredictability, but you’re always going to get that with instant cameras, and it will be that which appeals to many users. The fact that you can add on lenses to the front of the Lomo'Instant Automat also gives it wider appeal than a standard camera - although the close-up lens doesn’t seem to produce the results we would expect from it. 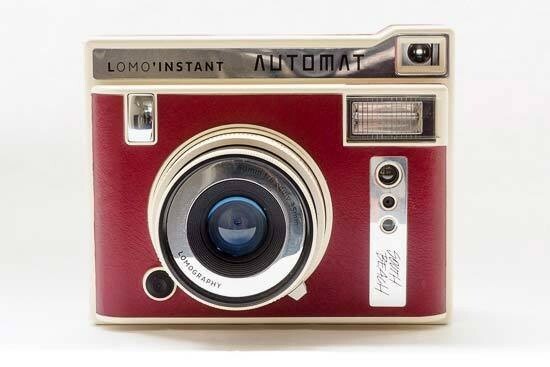 At the moment, the Lomo'Instant Automat, with the lens kit, retails for around £179. Then you will also need to invest in some Instax film - which of course you will need to continually invest in for as long as you want to use the camera. You’ll also need some CR2 batteries - you may want to consider purchasing rechargeable ones, which are more expensive to begin with but can save you money in the long term. All of this means that it’s not the cheapest investment, and of course any mistakes you make will cost you film, and therefore money. That said, there are more expensive instant cameras on the market at the moment, and for the amount of things you get in the box, you do get quite a lot for your money.